One of council's most enthusiastic cyclists wants staff to look into replacing at least some of the city's maintenance fleet with cargo bikes. Coun. 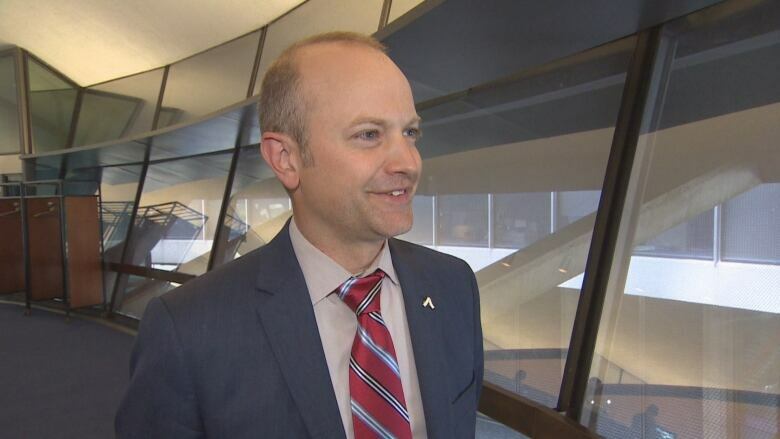 Mike Layton's has put forward a motion that calls on staff to look into the feasibility of adding the bikes to the city's fleet of vehicles, and report back early next year. "I think this is a neat idea that we should explore at the city," he said Tuesday. "This can ensure that we get the work done in a way that also contributes to fighting climate change." He said he envisions maintenance staff using the sturdy vehicles to service the city's parks. "Clear garbage out, perhaps watering plants or doing some of the horticultural work — this is something we could be doing with much smaller vehicles that are much better for the environment and that have less wear and tear on the sod, on the gravel pathways." He also sees them as useful in delivering small freight from one city office to another. And rather than importing, Layton wants staff to consider using locally sold cargo bikes. 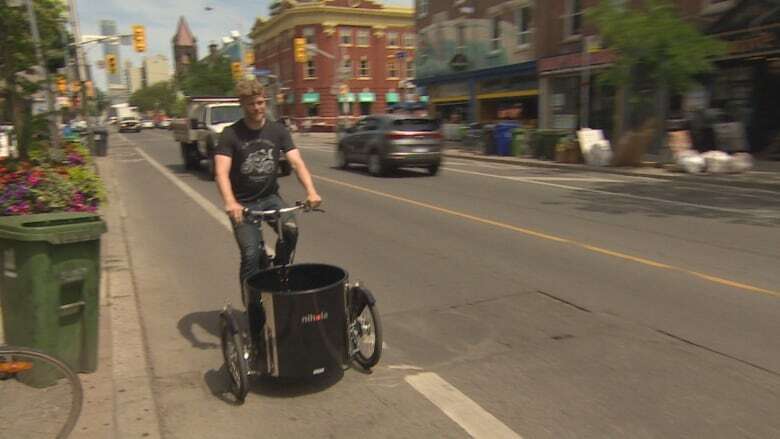 One Toronto company that sells cargo bikes to retailers North America-wide is Curbside Cycle, on Bloor Street near Spadina Avenue. Manager Eric Kamphof described the vehicles as "basically a bike with trunk space" and a load capacity of about 160 kg. And he said there's lots of justification for adding them to the city fleet. "The only constraint is the box size, so this can handle most goods. If you're delivering a refrigerator maybe you want to use a van, but yeah, this could handle a great deal of small cargo loads throughout the city," Kamphof said. "This can go in a bike lane or cut through parked cars. It's going to save a lot of time," he said. "It's also going to save a heck of a lot of lot of money — there are no insurance costs. The price of these units is $3,000 and up, as opposed to a car." Electrically assisted cargo bikes can cost up to $10,000, he said. Even so, he said interest from both businesses and families looking for an easy way to transport kids has peaked this year. 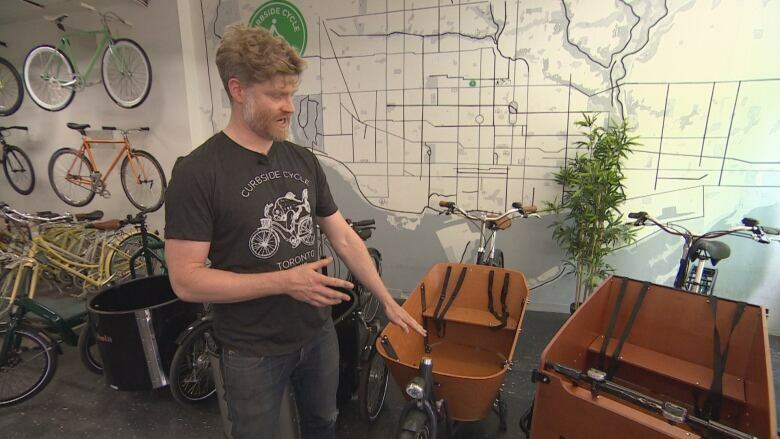 His company has been importing cargo bikes from Denmark and the Netherlands for about 12 years, and selling them to retailers across North America. Layton says in his motion that the city could also look into cargo bikes that have solar-powered motors. "These new vehicles take up less space on the road, cause less congestion, have zero emissions, are able to travel where larger vehicles cannot, and are an educational tool that draws attention to the need to transition to low carbon solutions," the motions states. It goes to the government management committee on Monday, with a staff report expected early next year.